How much sleep do you get every night? The National Sleep Foundation recommends adults between ages 26 and 64 get from seven to nine hours of sleep each night, but 35 percent of us get less than that. An obsession with technology can make the situation worse. The tendency to stay glued to computers, smartphones and televisions disrupts sleep schedules with blue light, which disturbs your body’s natural circadian rhythm. The end result? You have a harder time getting to sleep at night and feel tired when you get out of bed in the morning. Could technology help you get a better night’s sleep? We found the best in sleep tech, from simple fitness trackers to full-fledged smart mattresses. They can track your sleep, offer suggestions for getting more restful sleep and even help you fall asleep faster. If you’re looking to improve your night’s rest, keeping tabs on your sleep with one of these products is a good place to start. Most sleep trackers require you to wear a device or place one in your bed, but the SleepScore Labs SleepScore Max is able to track your sleep from afar. 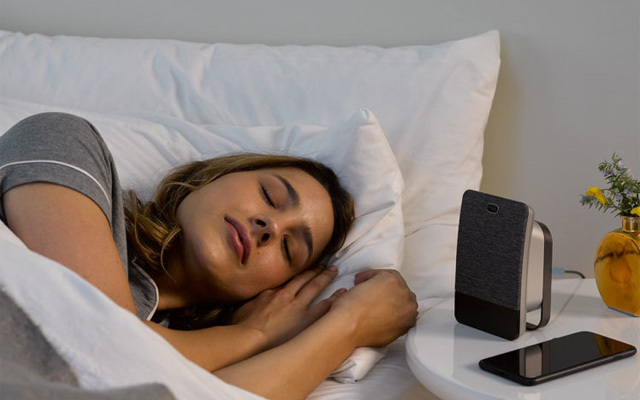 Using a motion sensor embedded in the device, along with temperature and light sensors, the SleepScore Max keeps tabs on you all night from 1.3 to 3.9 feet away. It's not just any motion sensor, though. The SleepScore by ResMed technology uses ultra-low power radio waves to "see" you breathe and move, much like a bat "sees" through echolocation. Have a bed partner? No worries, the SleepScore Max won't track him or her as long as a distance of more than 3.9 feet is maintained. We tested the device for a couple of months and it was very accurate, easily tracking time awake, light sleep, deep sleep and REM. Before going to bed for the evening, you have the choice of answering lifestyle questions in the app to better track how your daytime choices are impacting your sleep. In the morning, you receive a sleep score, which rates the overall effectiveness of your rest. And, the app will take your hard data and lifestyle information and surface recommendations to achieving a better night's sleep. The temperature and light sensors also inform the recommendations. The Flex 2 is a basic fitness tracker designed to keep tabs on your steps and daily physical activity, including swimming. Like many fitness trackers, it also tracks sleep and includes a silent alarm to wake you up in the morning. When you wear the Fitbit Flex 2 to bed, it automatically senses when you doze off. Then it spends all night keeping an eye on your sleep patterns, recording how long you slept and when you were restless or awake, a good indication of the quality of your sleep. The data, all of which syncs up to your smartphone, computer and the Fitbit website, is a bit basic compared to what you’ll get from devices wholly devoted to sleep, but this tool gives you a good overview of your sleeping habits. One nice feature of the Flex is its wide range of accessories. Instead of only offering a rubberized band that screams “fitness tracker,” Fitbit’s pendants and bracelets in silver, gold and rose gold fit in with any jewelry collection. Third-party designers offer even more options for wearing your Flex, like the eGenPlus silicone clip holder ($12), which features a strong magnetic clasp to keep your Flex in place. If you don’t like the feeling of a wristband, this is a great option for sleep tracking; just clip it to your pajamas, and you’re good to go! The Steel’s features are similar to those of the Flex 2. It tracks steps, activity (including swimming) and sleep. The big difference here is the Steel’s look and battery power. The Steel’s appearance is what you’ll notice first. This smartwatch has a round face with analog hands for a classic wristwatch look. The Steel’s battery supply is another huge selling point. Its replaceable watch battery lasts up to eight months. By comparison, the Flex 2’s rechargeable battery lasts up to five days. If you have trouble remembering to charge your tracker, you may find your Flex 2 frequently dead. The Nokia Health app makes health suggestions to keep you active and tracks the same types of sleep data as the Flex 2. It automatically records how long you’ve slept, but instead of splitting data into categories showing whether you’re asleep, restless or awake, Nokia shows you how long you were awake, in light sleep and in deep sleep. The Steel syncs automatically to the Nokia Health app for easy access to all of your sleep data. 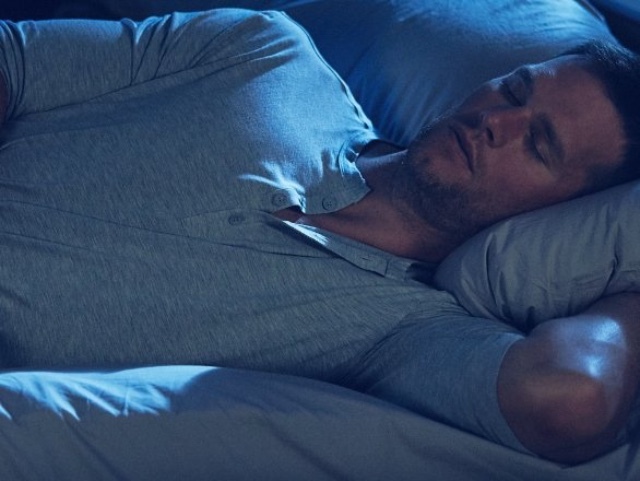 One factor that affects sleep quality is what you go to sleep in, at least according to fitness brand Under Armour. The company’s Athlete Recovery Sleepwear uses far infrared therapy to help your body recover. It sounds like science fiction, but studies suggest far infrared can improve both recovery time and sleep quality. That’s where picking up UA’s Sleepwear comes into play. Each garment has a bioceramic print that absorbs natural heat and reflects it back as far infrared, giving your body a nighttime boost. But does this really work? Even UA admits wearing the right clothes is just part of getting a good night’s sleep. The company also recommends shutting down digital devices, keeping a consistent bedtime and keeping your room clean and quiet for the best sleep. Once you have those routines down, Athlete Recovery Sleepwear may help you get more out of your night’s rest. 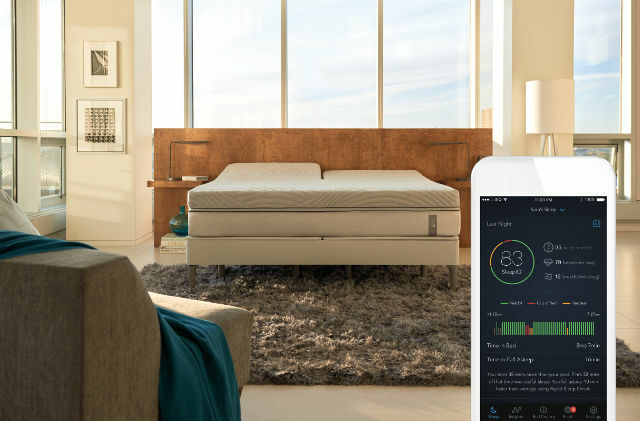 If you’re interested in tracking sleep for both you and your partner, Eight’s Sleep Tracker mattress or mattress topper may be the answer. This gadget is exactly what it sounds like, a mattress pad laced with sensors to monitor just how well sleepers on both sides of the bed are resting. Place the mattress and mattress pad on your bed frame like any other mattress. Both devices plug into the included hub, which plugs into the wall (no batteries to worry about) and gives the Eight its smarts. And this tracker really is smart. Like most sleep sensors, the Eight tracks your body movement to see when you’re restless and when you’re in deep sleep. It also monitors your breathing rate, heart rate and more to gauge the quality of your sleep. Paired with a smartphone app, the Eight offers insights into how you’re sleeping and offers tips to sleep better. Like the Aura, it can wake you up in the morning at the lightest part of your sleep cycle. Its standout features are heating and smart home integration. The Eight has a built-in heating system to warm the bed when you’re ready to turn in for the night, so you’re always pleasantly toasty. Each side of the bed can keep its own schedule, warming to the ideal temperature at the ideal time for each sleeper. The Eight offers stellar smart home integration with IFTTT. It can automatically turn on your coffee pot when you wake up or turn off the lights when you go to bed. Sleep Number has always made mattresses you can customize to just the right firmness for each sleeper. The company’s latest creation changes firmness automatically to keep you comfortable. When the mattress senses you’ve rolled from your back to your side, it automatically adjusts for maximum comfort. It even detects snoring and automatically raises the snorer’s head to stop it. To help you fall asleep faster, it pre-warms before bedtime, because cozy feet can help you fall asleep faster. Just like other Sleep Number beds, the 360 does these things independently for sleepers on both sides of the bed. It’s all powered by biometrics built into the bed that tell the 360 just how well you’re sleeping. In addition to the basics—how long you slept, when you were restless and when you were awake—the Sleep Number 360 tracks your heart rate and breaths per minute. Like many smart sleep gadgets, it can wake you when you’re in the lightest phase of your sleep cycle. Integration with other apps like Fitbit, MapMyRun and Nest let the bed give you sleep insights based on other data, like your exercise habits and room temperature. Sleep isn’t important only for grown-ups; being well-rested helps kids do their best in school and other activities. And getting a good night’s sleep means a good mattress. Sleep Number’s SleepIQ Kids mattress is like an adult mattress, adjustable for comfort. That can be important for a growing child whose needs will change. The SleepIQ can change with them. But what’s really handy about this bed is the sleep tracking feature set. SleepIQ knows when your kids are asleep and when they wake up. In both cases, it can let you know so you can turn out the lights (remotely, of course) or know when it’s time to get breakfast ready in the morning. Two mattress types are available. The K1 does everything we’ve explained so far, and the K2 can also raise and lower the head of the bed for reading. While the Sleep Number 360 adjusts its firmness based on your preferences, the ReST Smart Bed adjusts its firmness for different parts of your body to provide completely customizable comfort. The mattress has five zones—head, shoulders, back, hips and legs—all of which can have their own independent firmness settings. While you sleep, ReST monitors your unique shape and pressure profile and adjusts to keep you comfortable as you shift in your sleep. The ReST app keeps track of everything, letting you see how long you were asleep and awake and your position throughout the night. This bed offers no light or sound programs to help you get to sleep or alarms to wake you up; the ReST is fully focused on giving you a great bed and nothing else. If you’re looking for a comfortable night’s sleep without bells and whistles you won’t use, ReST is it.